The difference between this earlier model of the RMV0019 is that the soft kevlar access is a zipper not the later versions velcro. Also, this release mechanism is their two cable, see pictures and the details outlined here. Condition: Used, very good functional condition. All closures function properly. A few dirty spots not much. Many Paraclete accessories pouches sold separately. 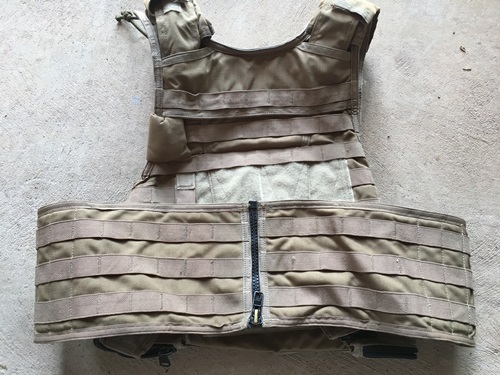 We will offer a 15% off coupon on any and all Paraclete pouches purchased to go with this. Contact us for the coupon code.